One of the biggest thoughts that I have after going through Deepholm is pretty simple, actually. Therazane is quite ugly – now I know where Princess Theradras gets it from. That being said, the zone was awesome. From the very epic flight in at the beginning to the end where you get to ally with Therazane herself, it just keeps getting better. 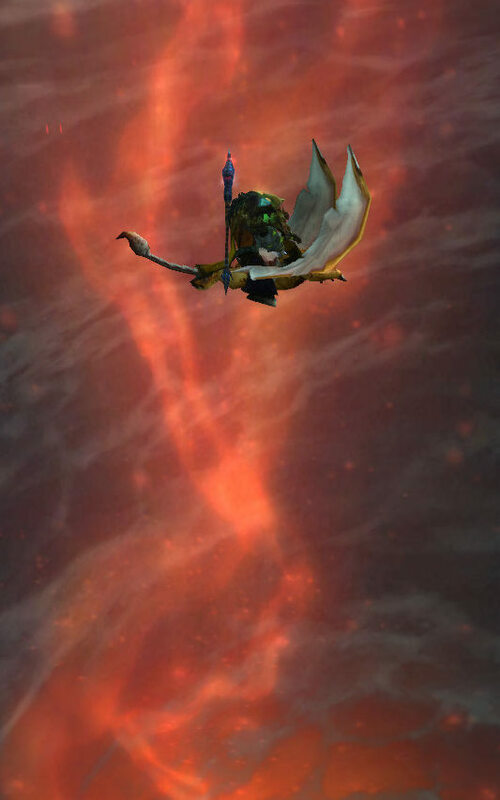 As I said, the entrance was something which I had hoped would happen: you talk to Thrall on the edge of the Maelstrom, and he sends you down into the very centre of the vortex to enter into Deepholm, the elemental plane of Earth where Deathwing was licking his wounds. I was hoping that we could just jump in, but a flight in is a close second. The story of the zone is fairly simple. 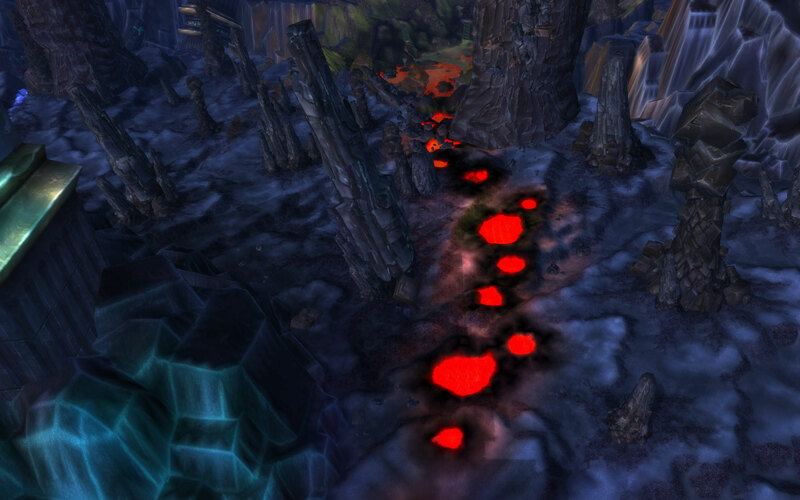 When Deathwing broke out, he shattered the “world pillar”, which separates the elemental plane from Azeroth. Doing so lets us go in, but also the other stuff like: the Alliance (boo! 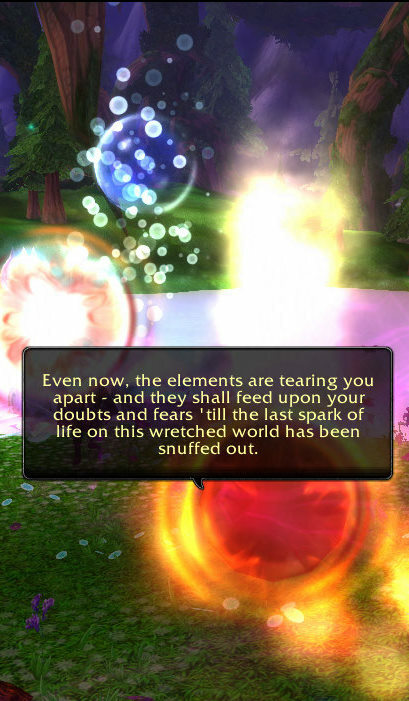 ), fungal spores, Twilight’s Hammer guys – you know, the usual suspects. We get to fix what was broken. It’s broken up (see what I did there?) into three parts to get the fragments of the world pillar to make it whole again. Each part deals with a different group of denizens of the realm, such as the Earthen or elementals, and by the end they either like you or are willing to put up with you long enough to finish up what is needed. All in all, it was (once again) excellent. There were some good story driven parts, great characters, and the quests were fun. The dailies opened up for Therazane at the end aren’t even that bad – not even close to the Sons of Hodir ones. 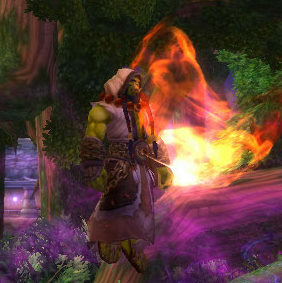 What makes the rep grind less of a grind is that you can also get a tabard to wear in dungeons, making the time to get the required shoulder enchants not take nearly as long. I’m now about 40% through level 84, and working on Uldum right now. Hopefully I can get to 85 soon and join my guild in doing heroics and other fun stuff… like Archaeology!